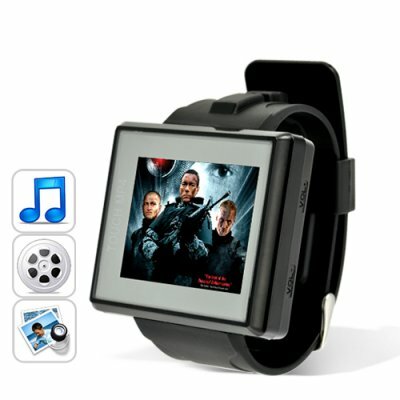 Successfully Added MP4 Player Watch (4GB + Waterproof + 1.8 Inch) to your Shopping Cart. The bottom line: If you're into quality multipurpose gadgets then this MP4 Player Watch is for you. It's cutting edge wearable electronics with style! Order yours today and we'll ship it out tomorrow. Brought to you by the leader in online direct from China wholesale electronics and dropshipping - Chinavaison. on 2010-06-11 01:39:16 A good baseline MP4 watch. This was my first purchase from this website so I didn't want to spend too much. The shipping was excellent(about 3 days). The watch is sharp in brilliant black. Everything works good. This model did not have the FM radio or outside speaker which is a must have. So for the most part this is a pretty good player. Hopefully they will have a upgraded one with the speaker and FM stereo.